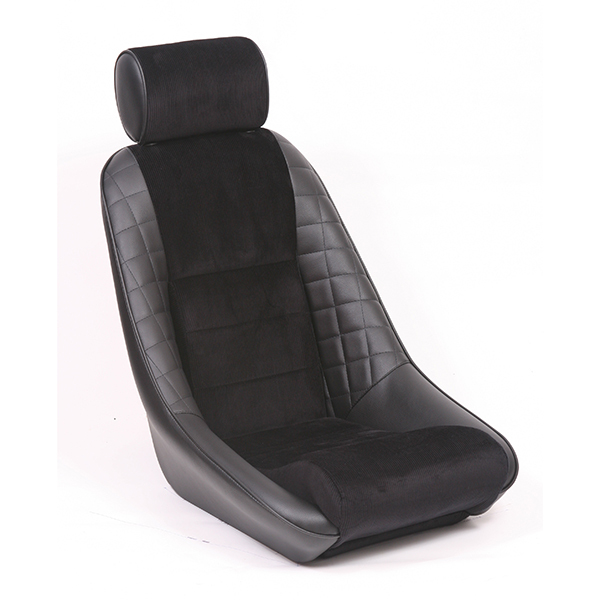 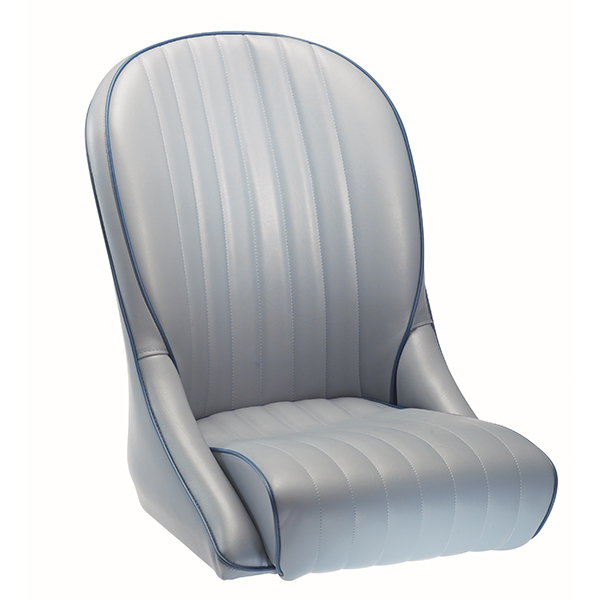 A design classic that harks back to the 1970’s when bucket seats first appeared in Porsche sports cars. 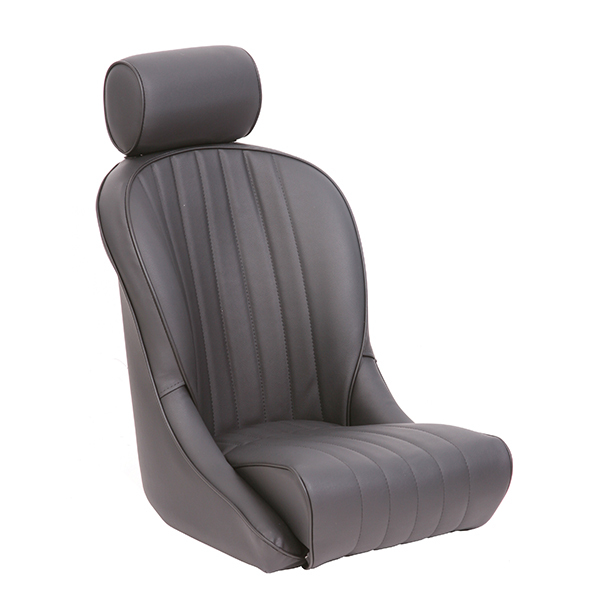 It features a narrow backrest sculpted at the base to fit into the smallest cockpits. 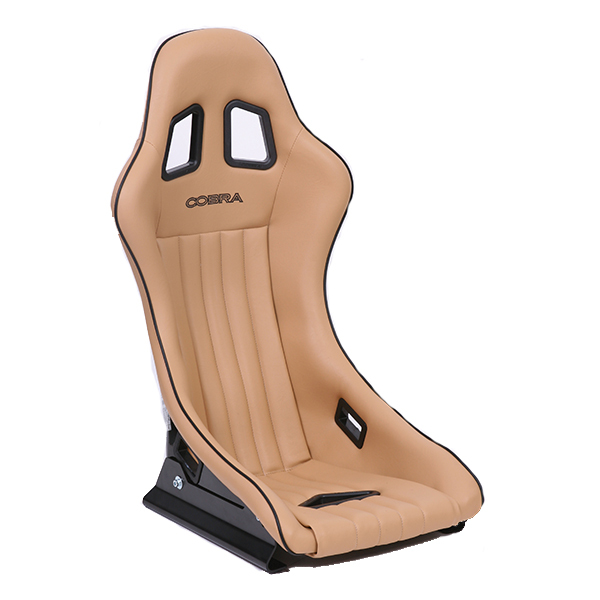 Cobra’s design skills mean that the seat seemingly achieves the impossible – helping you to fit a generous seat with a distinctive sporty feel into a restricted space. 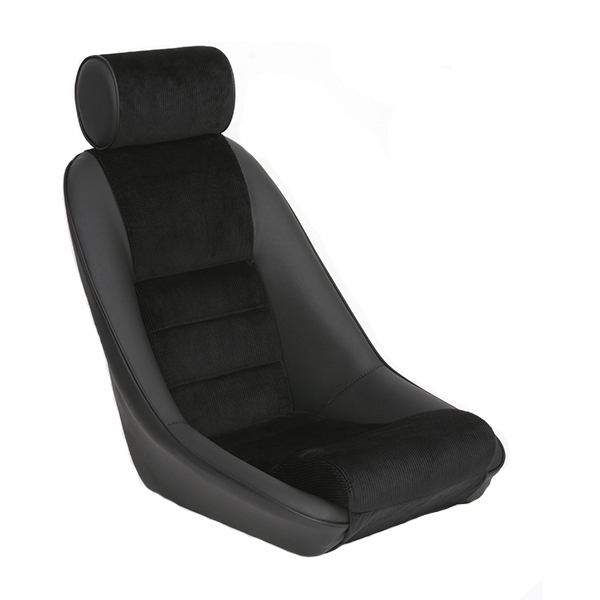 Upholstered in black soft grain vinyl and traditional corded centres.